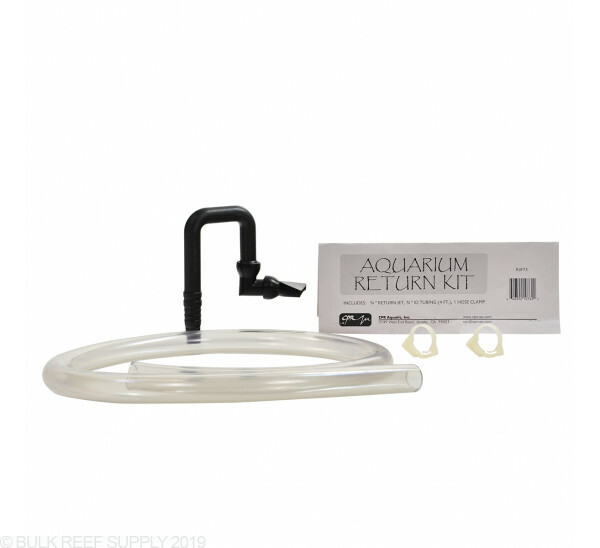 I use this kit, which comes with 3/4" hose, a hang-on water diffuser, and 2 plastic clamps (for the pump and the water diffuser), to add water back to my tank from 5 gallon buckets. I open up all 4 buckets, hang the duffuser on the tank, close the lid on it to keep it in place, and stick the pump in each bucket until it's empty. It takes literally 10 seconds to empty a bucket like this, and about a minute to do 4 buckets! 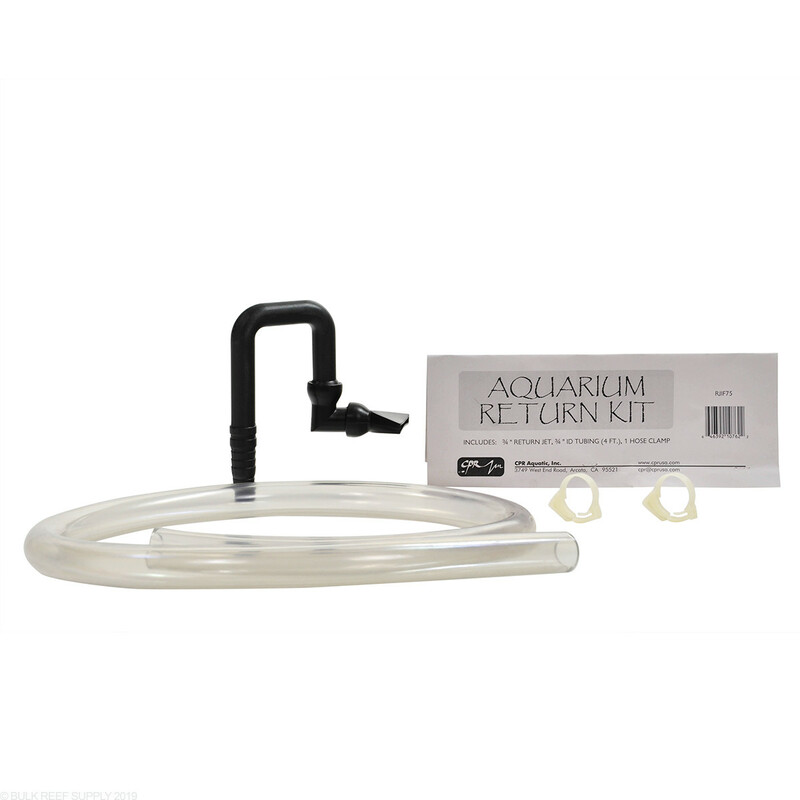 This is a great little kit for water changes. I wouldn't suggest it for regular use because of the clear tubing. Algae will grow in it. Also, the clamps may get brittle as they aren't the most robust. My sump flooded after turning my return pump off. My old one came with a hole in it and I didn't realize this ove did not until it was too late. I had just added pods to my sump so this was a costly mistake. Then I guess my hole was not big enough because it did it again. At least I was watching for it this time. Priced very well and was relatively easy to assemble, with some help from a friend. Does what it is suppose to. Bought this because I could not drill my tank and this kit hooked right up to my return pump. If you absolutely can't drill the side of your tank for a return, then this is a good product. If you can drill the tank....DO IT, and buy the plumbing to do it right. Is this return-jet drilled to prevent back-siphoning, like the RJK75 kit? This return jet is not drilled to prevent the back siphon. Feel free to let us know if you have any further questions!